Authorities in Dublin have been seeking to quiz David Drumm over the events that led to the collapse of Anglo Irish Bank. Irish police have arrested the former chief executive of Anglo Irish Bank, Sean FitzPatrick, as part of a long-running fraud investigation into the nationalised lender, a source close to the investigation said. 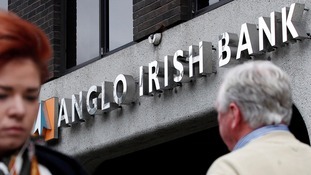 Two former top executives at Anglo Irish Bank were charged on Monday as part of the probe into the failed lender synonymous with Ireland's financial meltdown.